Nearly 161 out of every 1,000 children in Sierra Leone do not live to see their fifth birthday. Of these deaths, 27% occur during the first month of life, and the leading causes of neonatal death are prematurity (32%) and birth asphyxia/trauma (26%). The high number of deaths can be primarily attributed to a lack of skilled attendants at delivery. 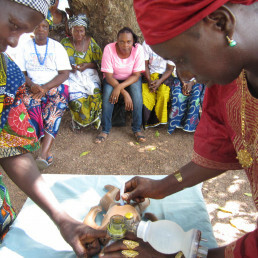 Though the government has taken steps to encourage women to deliver at Peripheral Health Units (PHU) under the care of Maternal Child Health Aids (MCHA), the majority of rural women still choose home births attended by Traditional Birth Attendants (TBA) because the maternity units are too far away. 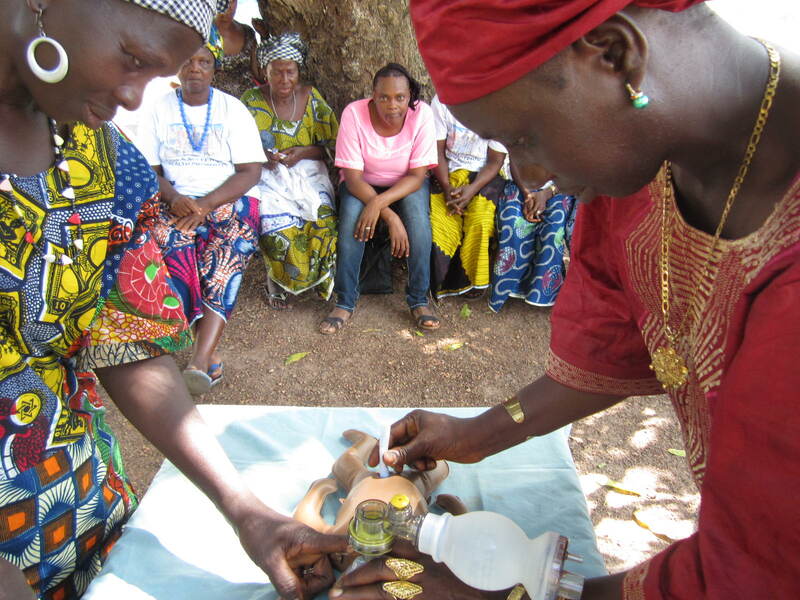 The Ebola crisis has made women even less willing to visit health centers, and under-5 mortality is increasing. 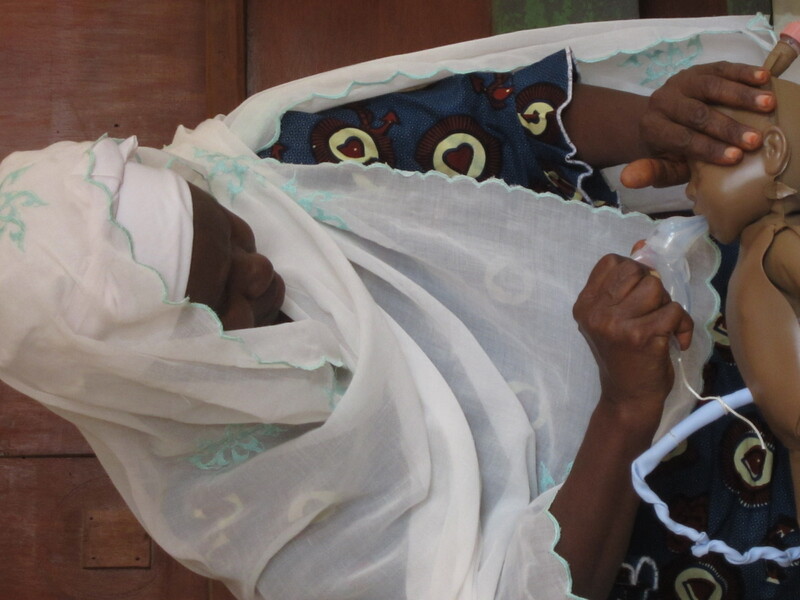 This project proposes to implement a simple training program that could make a profound difference for newborns. 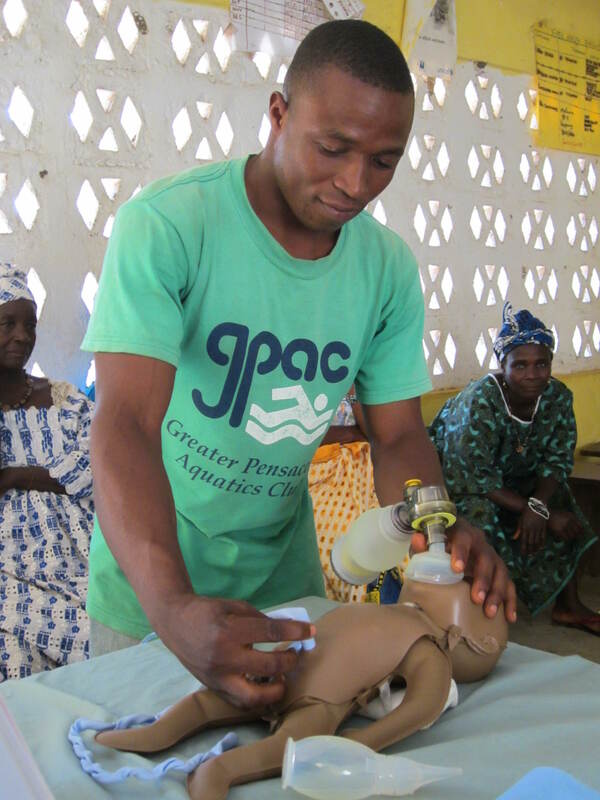 The Helping Babies Breathe (HBB) curriculum was designed to give birth attendants in developing countries essential skills in newborn resuscitation. A key concept is the “Golden Minute.” Within the first minute, babies should either be breathing well on their own or ventilated with a bag and mask. The training materials are pictorial-based, and consist of a flip chart, learner workbook, poster, and a realistic newborn simulator (manikin) with a bulb suction and bag-mask ventilator. 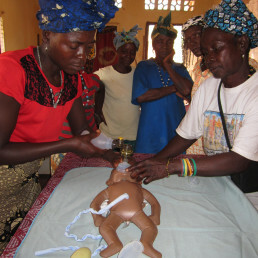 Trainees can be any type of birth attendant and don’t need to be literate. 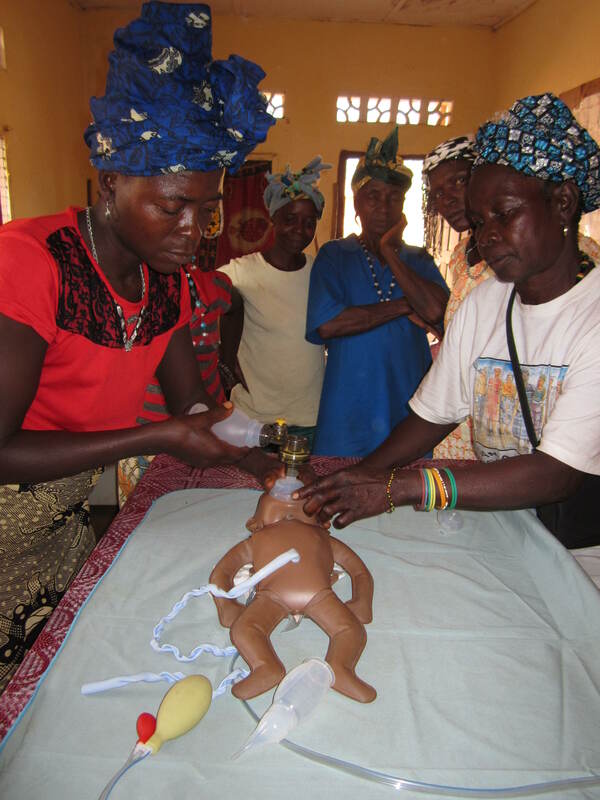 Carrie Jo and a team of trainers will teach 2,150 formal and traditional birth attendants the Helping Babies Breathe (HBB) curriculum. 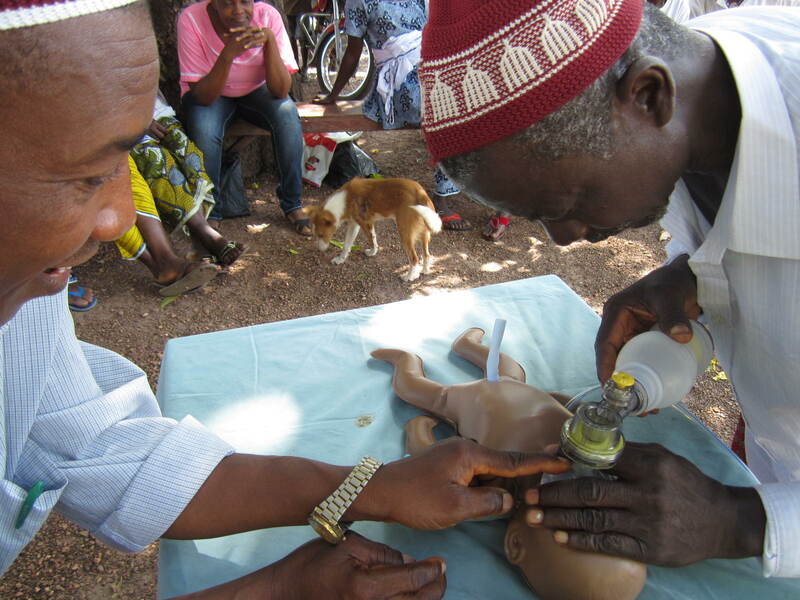 Trainings will be conducted in 43 medically-underserved, often hard-to-reach chiefdoms. 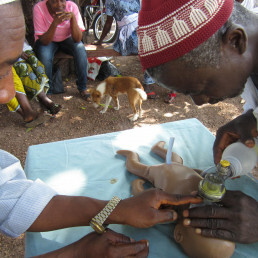 The Helping Babies Breathe training curriculum, developed by the American Academy of Pediatrics, World Health Organization, USAID, and others in 2010, is an evidence-based educational program that is culturally sensitive and designed to withstand a variety of climates and teaching conditions. 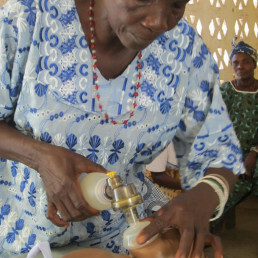 It is simple enough that any birth attendant can use it, yet effective. 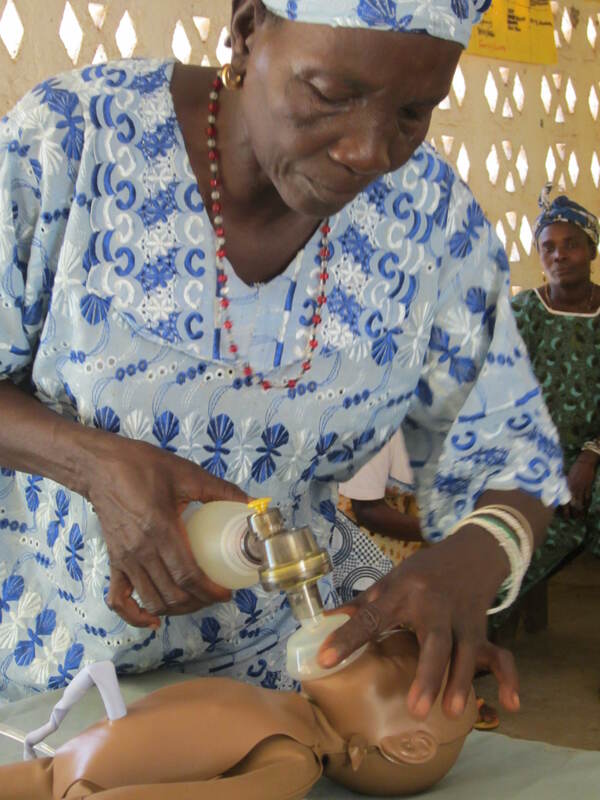 Some of the emerging lessons learned are the importance of tailoring the curriculum to the local environment and continuing to mentor and drill birth attendants after the initial training to ensure that the lessons learned in simulation translate into improved practice. These emerging lessons will be incorporated into this project. The Helping Babies Breathe curriculum was designed for use in health facilities and has been implemented in 77 countries. However, the authors of the recent lessons learned report acknowledge that use of newborn resuscitation continues to be very low in areas where most births occur: at home. 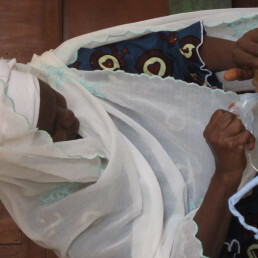 As a result, training community health workers and others who attend home births could be an important interim step to save lives while countries expand their capacity for health facility deliveries. 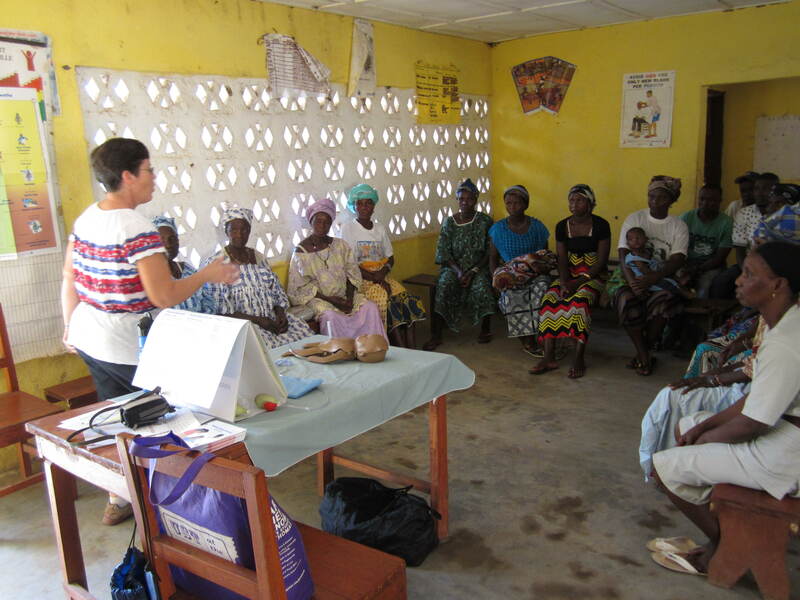 Through this project, Carrie Jo and World Hope International will train professional health care workers and also lead the way in the effort to reach into homes and communities, quite literally training traditional birth attendants underneath the mango tree. This is a population that won’t be reached any other way any time soon, and it is what makes World Hope International’s approach novel. Carrie Jo Cain is an emergency room RN certified in newborn resuscitation from Minnesota who grew up in Sierra Leone and speaks fluent Krio. 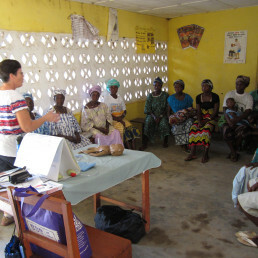 When other expats left during the 2013 Ebola crisis, Carrie Jo quit her job and moved back permanently to teach infection control to rural Community Health Workers for World Hope International (WHI). She also ran an ambulance service, distributed $1 million in supplies, managed 15 rural community Ebola care centers, and established a survivors’ clinic. Prior to the crisis, Carrie Jo had trained 200 rural health workers in newborn resuscitation; some are still sharing stories of babies saved. World Hope International (WHI) is a Christian-relief and development organization that works with vulnerable and exploited communities to alleviate poverty, suffering and worldwide injustices. Founded in 1996, WHI currently works with 15 of the poorest countries in the world focusing on eight key areas: anti-trafficking, clean water wells and sanitation, rural and economic development, agriculture, education, emergency response, health and nutrition, and child sponsorship.